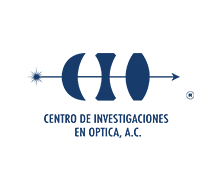 In the area of optical fibers and lasers basic research is done in the generation, amplification and propagation of light within a cylindrical wave guide (optical fiber), with the aim of developing new and efficient technologies, mainly applied on such areas as communications, health, energy generation and metrology, to mention some. Our research lines are mainly focused on subjects like designing and making special optical fibers, such as micro-structured fibers, the propagation of radiation in tapered fibers, the generation of continuous and pulsed laser radiation, and laser emission taking advantage of non-linear effects generated by the presence of lanthanide elements, such as Ytterbium (Yb), Erbium (Er) or Thulium (Tm), at the core of the fiber. It also includes the development of optical fiber systems to measure physical, chemical and/or biological variables on the surrounding medium. More than 35 years of history in optics and photonics that contribute to the knowledge generation, innovation and technological development, and human resources formation. Loma del Bosque 115, Lomas del Campestre León, Guanajuato, México. Zip Code 37150.